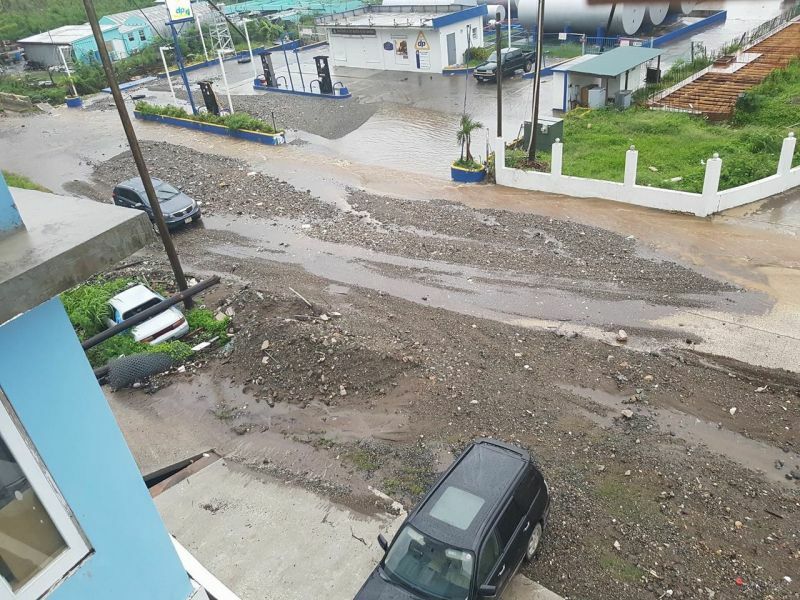 The Department of Disaster Management (DDM) has also issued a flash flood watch for low lying and flood prone areas valid until 2:00 PM this afternoon. A flash flood watch means that moderate to major flooding is possible but not imminent in the watch area. DDM stated that residents in low lying and flood prone areas should be prepared to move to higher ground if flooding rains develop or a flash flood warning is issued. Areas where flooding have been reported include Duff’s Bottom, Pasea Estate, Pockwood Pond, West End and Paraquita Bay. According to the DDM, an active tropical wave is producing periodic heavy showers across the area. 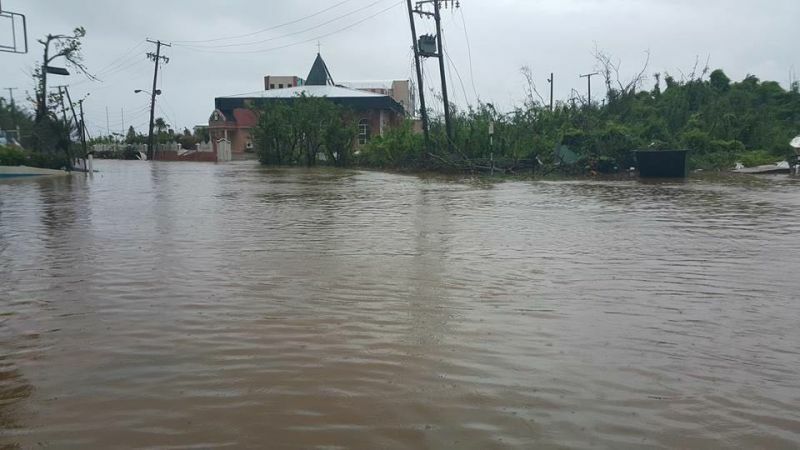 Residents have been advised to stay tuned to local radio or television for watch updates and possible warnings. 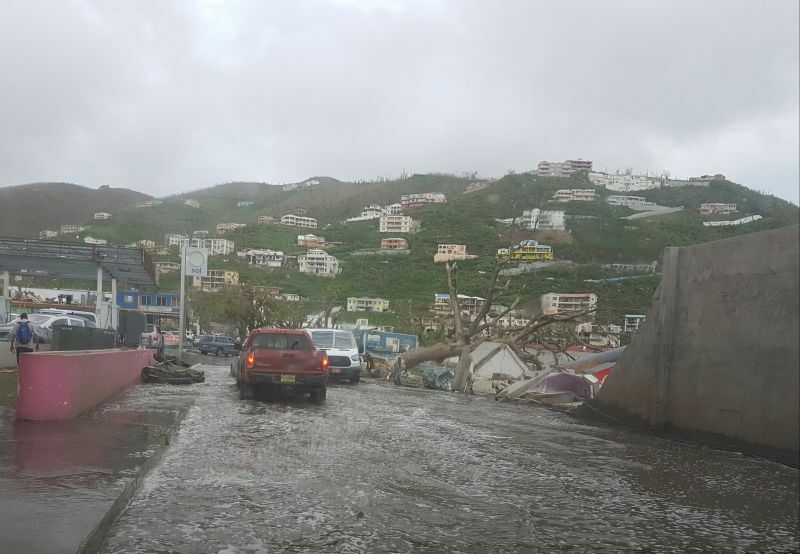 After experiencing heavy rainfall this week that resulted in rock slides, flooding and early closure of Government offices and schools, the Virgin Islands can also brace for a wet weekend. According to the Department of Disaster Management (DDM), a tropical wave is expected to affect the area beginning Saturday October 14, 2017 which will cause unstable weather conditions across the Territory. Cloudy periods, showers and a moderate chance of thunderstorms can be expected through to Sunday across the Leeward Islands and through Monday morning across the [British] Virgin Islands. 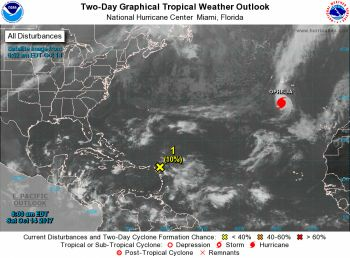 According to the National Hurricane Centre, radar and surface observations from the eastern Caribbean indicate that a broad area of low pressure is gradually approaching the Leeward Islands. This low is accompanied by showers and squalls mainly to the east of the center, and this activity is expected to spread westward over the Leeward Islands and the Virgin Islands today, Saturday October 14, 2017 and Sunday. 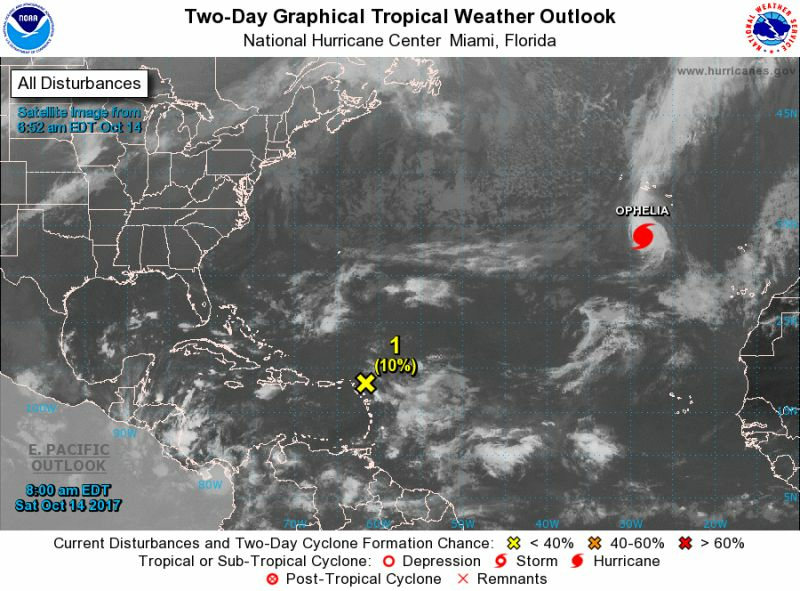 “Upper-level winds are expected to be unfavourable for development during the next couple of days, but the environment could turn favourable for some development early next week when the system begins to move northward and then recurves over the west-central Atlantic Ocean,” the NHC issued at 8:00 AM. Any chance you mean purging?? Well this is our time. God but is merciful. 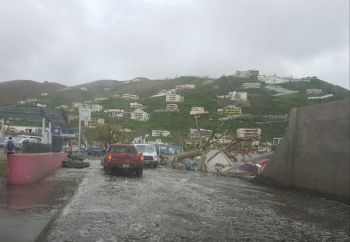 Hold on BVI.Hold on to life dont give up you all.